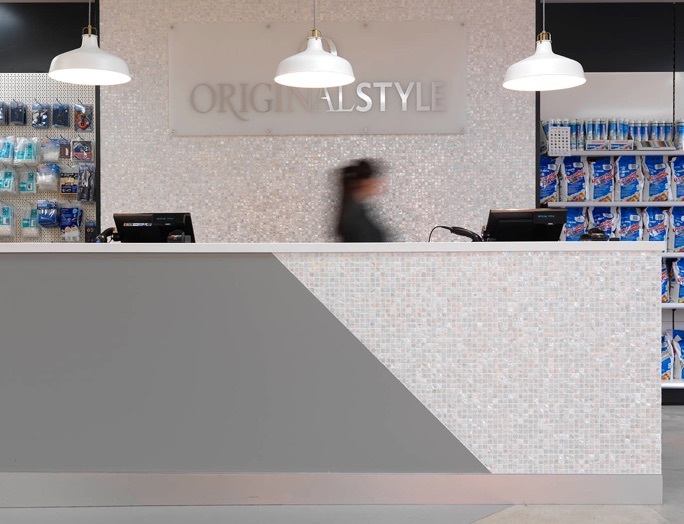 Original Style is a UK based tile manufacturer and distributer who looked to open their first customer faced showroom in historic Cheltenham. Services – Customer & Retail Insights, Research & Strategy, Interior Design, Visual Merchandising, Unitary Design, Exterior Signage, Window Treatment. Fit Out & Project Partner – Resolution Interiors. 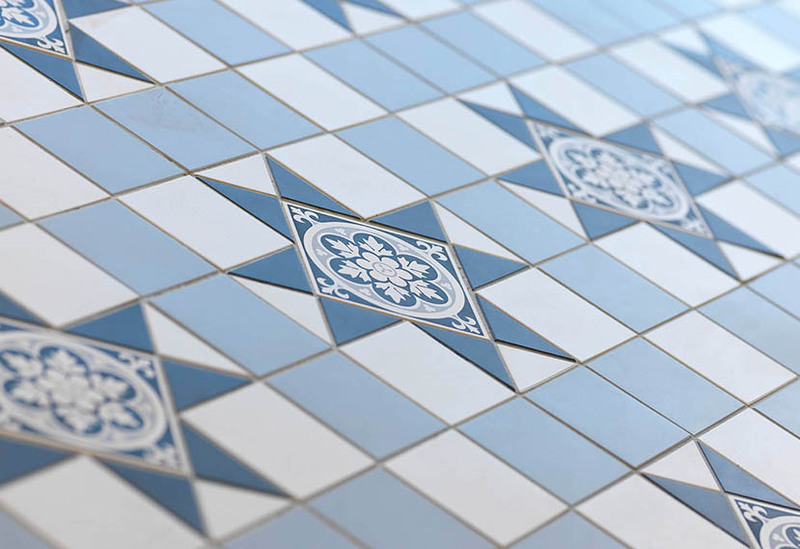 Unlike most tile retailers, Original Style have a unique background story which places the customer at the heart of their offer. With this in mind, the project began with personally getting to know the brand history, their dedicated retail team and the profiles of both existing and new customers. 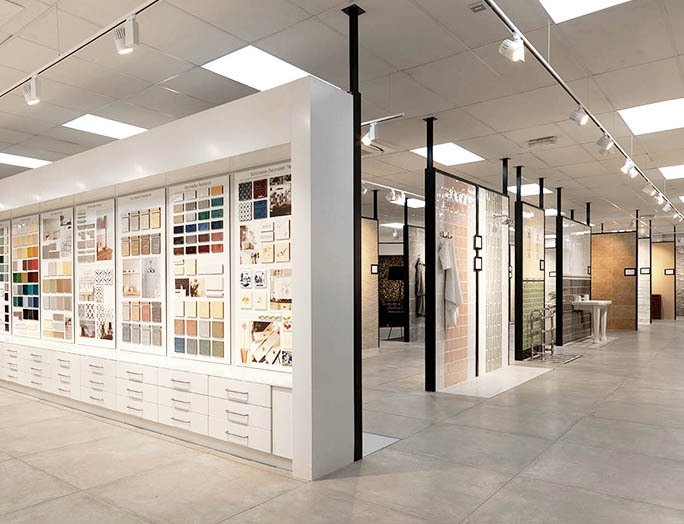 With 1000’s of varying product lines, simplifying the customer journey was at the heart of this project, shaping both the showroom layout and the set designs themselves. 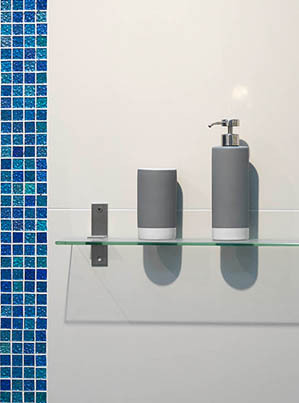 By stripping the showroom concept back to its origins it allowed us to simplify the look and feel of the displays giving the tile centre of attention not the system holding it in place. 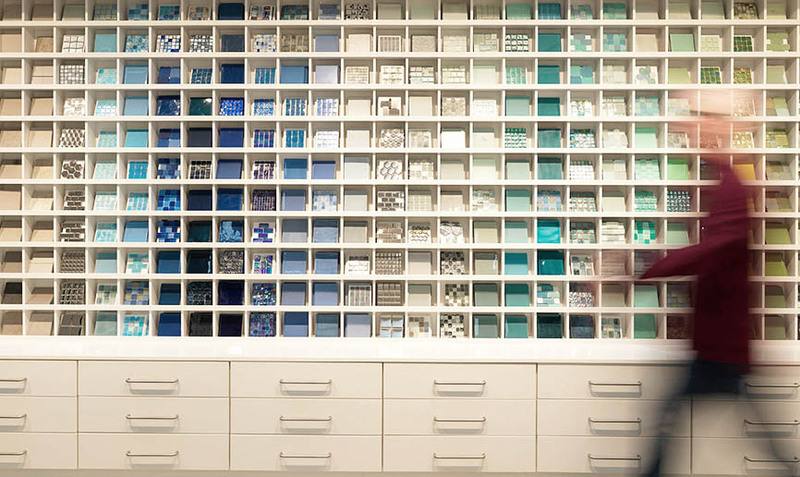 Product information and full ranges were not hidden in brochures but were on display in a well stocked product library complete with a full sample wall. 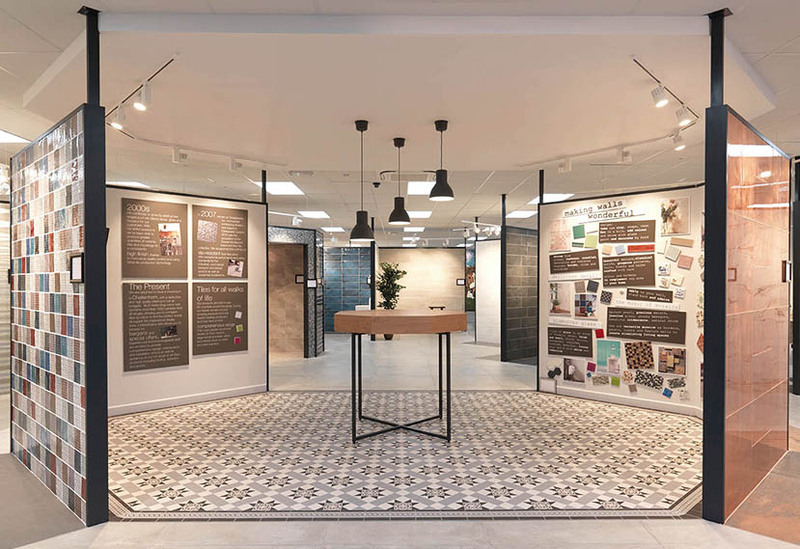 The origin and history of the company also took centre stage in a dedicated area at the forefront of the store, introducing the customer to the OS brand and their humble beginnings as a fireplace tile manufacturer. Style is as individual as each customer that comes through the door, so it was key that the showroom presented different trends, looks and materials encouraging the customer to explore and find their own original style. A neutral palette of concrete effect tiles, white painted walls and individual lighting tracks provided a subtle backdrop to each display which was then framed in black keeping the overall look clean and consistent across the showroom.